Peanut butter: the ultimate timeless food. Whether it’s #ThrowbackThursday, a holiday, or basically any old day of the week, you’re sure to find us Hens with a spoonful of PB in our mouths. And thanks to Ginny Messina and JL Fields, we know exactly why that spoonful will nourish our bodies inside and out! 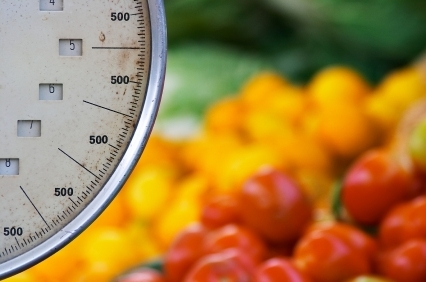 This article originally appeared on Our Hen House on March 12, 2013. If you’d like to see a certain OHH article resurrected, email us at info [at] ourhenhouse [dot] org. As I type this – and I’m not kidding – the keys on my computer are sticky with remnants of my favorite food in the world, and my dog is obsessively trying to lick the J, K, and L keys (does the Apple store cover dog saliva damage?). I blame Ginny Messina and JL Fields, the authors of today’s delicious Thought for Food column. In what follows – an inspiring article by Ginny (a.k.a. 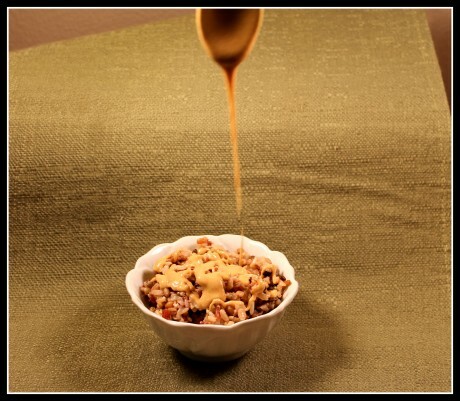 “The Vegan R.D.”), and a truly delectable recipe by JL Fields – you’ll see why. There’s a National Day or Month for just about every food you can think of. Most of them are well worth ignoring (National Meat Loaf Day – seriously?). But National Peanut Month is something that makes me sit up and take notice. 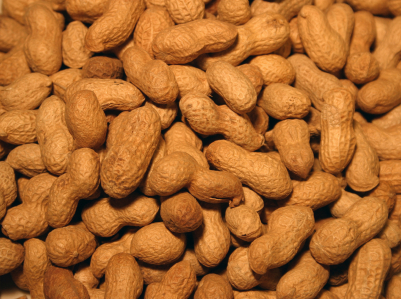 I love peanuts – and more specifically, peanut butter. And for a number of reasons, I think peanut butter has a special place in vegan advocacy. 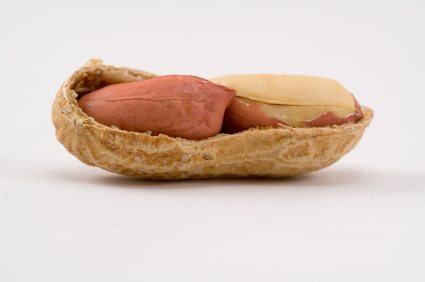 Believe it or not, peanut butter was the first meat analog. Health activist John Harvey Kellogg was grinding up peanuts in his Battle Creek, Michigan sanitarium in the 1890s as a meat substitute for his patients. Peanut butter made its public debut at the 1904 Universal Exposition in St Louis where it was touted as the latest in health foods. In the world of nutrition research, it’s still regarded as health food. Studies link peanut butter to reduced risk for heart disease, probably because it’s rich in healthy monounsaturated fats and in phytochemicals. And, as counter-intuitive as it may seem, peanut butter may even give an edge to those who are watching their weight. But for most Americans, peanut butter is more about comfort and convenience than anything else. And that’s one reason why it might help ease the transition to a vegan diet for some – especially those who are feeling a little skeptical. On the one hand, it’s really fun to let vegan cuisine broaden your horizons and introduce you to new foods. Even though my vegan diet has nothing to do with me and my needs – it’s all about living in a way that respects animals – I do appreciate the nice perks. Those include some wonderful health benefits, plus exposure to all kinds of interesting foods and flavors that I might not have experienced had I not gone vegan. But not everybody wants those experiences. If we want to make veganism more mainstream, it’s worth realizing that some people really aren’t all that excited about “getting to try” barbecued tempeh or kale smoothies. They might be much more reassured by foods that feel cozy and familiar. And what could be more cozy and familiar than a PB&J sandwich? Peanut butter is also the ultimate vegan travel food – easy to pack into your purse or briefcase just in case you find yourself hungry with no vegan-friendly restaurants in sight. Many new vegans say that finding food on the road is something that trips them up; they aren’t sure where to look for vegan fare and may end up going hungry or subsisting on salad. That kind of experience doesn’t make for a great introduction to veganism. Of course, any nut butter makes an easy travel food or sandwich. 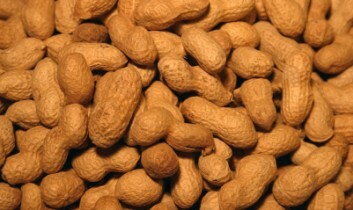 But one special thing about peanuts is that they aren’t nuts at all; they are actually legumes. So, like soyfoods and dried beans, they are super-rich in protein. Two tablespoons of peanut butter has as much protein as one-half cup of black beans or a cup of soymilk. More importantly, they are high in lysine, an essential amino acid that vegans get from legumes. For most of us, it’s easy enough to get plenty of protein and lysine by eating scrambled tofu, black bean soup, and bean burritos. But for many who are contemplating veganism, the idea of two or three servings of beans per day may sound like a deal breaker. They may, however, have no trouble envisioning a menu that includes a hummus wrap and a peanut butter sandwich. For vegan kids, especially, peanut butter can be a protein-packed lifesaver. Clearly peanut butter has the makings of a perfect vegan food and a great tool for helping new vegans make the transition. It’s an easy answer to travel challenges and a quick option for meeting protein needs, especially for those whose palates aren’t especially adventurous. Most importantly, it’s one of those foods that can help bridge the gap between the comforting and familiar meals of our past and the vegan world we envision for the future. And if you get tired of plain old peanut butter, there are endless ways to give it some bold personality, like JL’s Curry Peanut Butter. Nut butters are incredibly easy to make. All you need are nuts, a food processor, and 12 minutes. The real fun begins when you add the spices or seasonings of your choice. 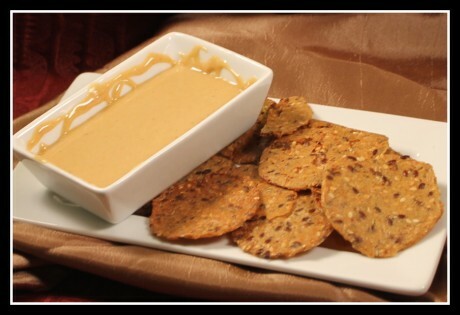 Direct from the food processor, I drizzle this curry peanut butter over cooked grains and lentils, or I use it as a dip for crackers or celery sticks. Bring out the spice of the curry by using it for an Indian-style PB&J – a Curry Peanut Butter and Mango Chutney sandwich! 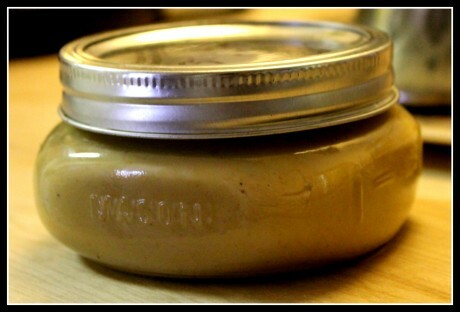 Nut butters store well in the refrigerator, in an airtight jar, for up to five days. Pulse peanuts and olive oil in a food processor for six minutes. At six minutes, scrape down the sides, add the curry and pulse for another six minutes (add additional olive oil if the nut butter appears too dry). 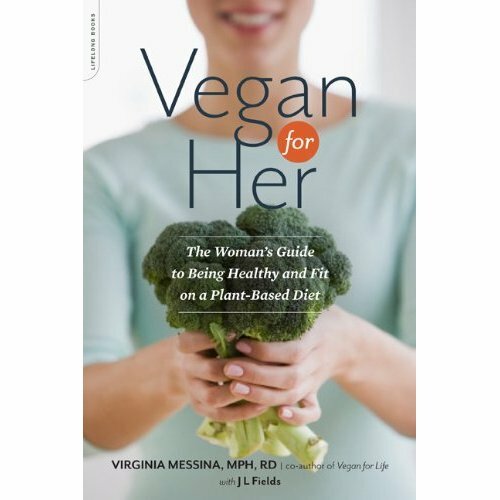 Virginia Messina, TheVeganRD.com, and JL Fields, JLgoesVegan.com, are co-authors of the forthcoming Vegan for Her: The Women’s Guide to Being Healthy and Fit on a Plant-Based Diet (Da Capo Press, July 2013). 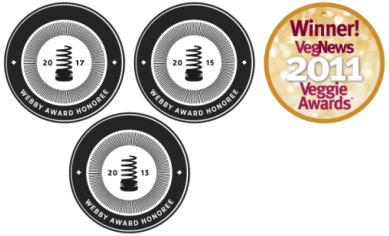 In Vegan for Her, nutritionist Ginny Messina tackles the issues pertinent to women who follow or who are considering a vegan diet, and JL Fields provides health-supportive recipes and tips for taking your veganism beyond the plate. With specific guidance on meeting women’s unique nutritional needs throughout the lifecycle and information about food choices that relate to many health concerns, Vegan for Her is a practical and realistic guide to making sure your plant-based diet is as healthy as it can be. Episode 8: Picnic with Chef Laura Delhauer and Your Hostess, Jasmin Singer! 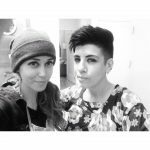 Episode 4: Chef Laura Delhauer in the Kitchen with your Host Jasmin Singer!